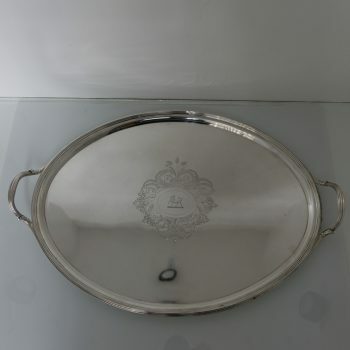 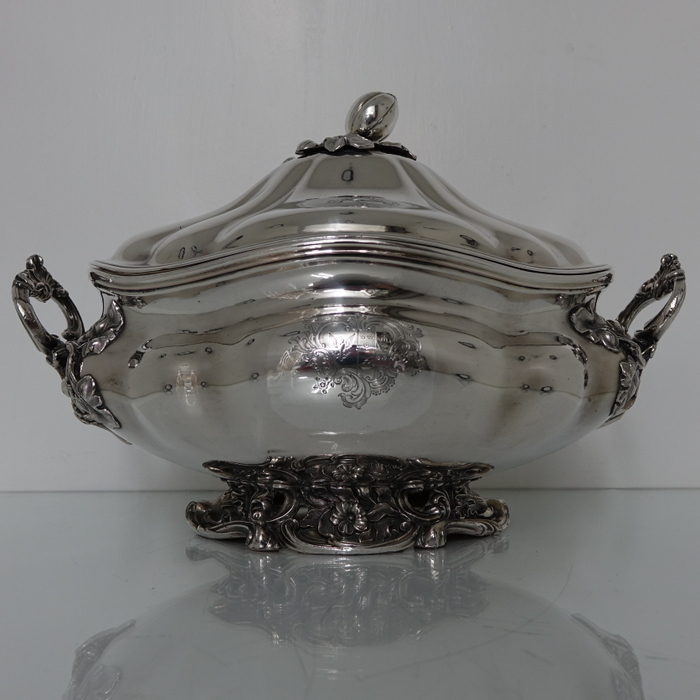 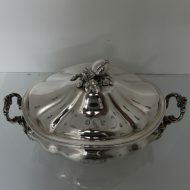 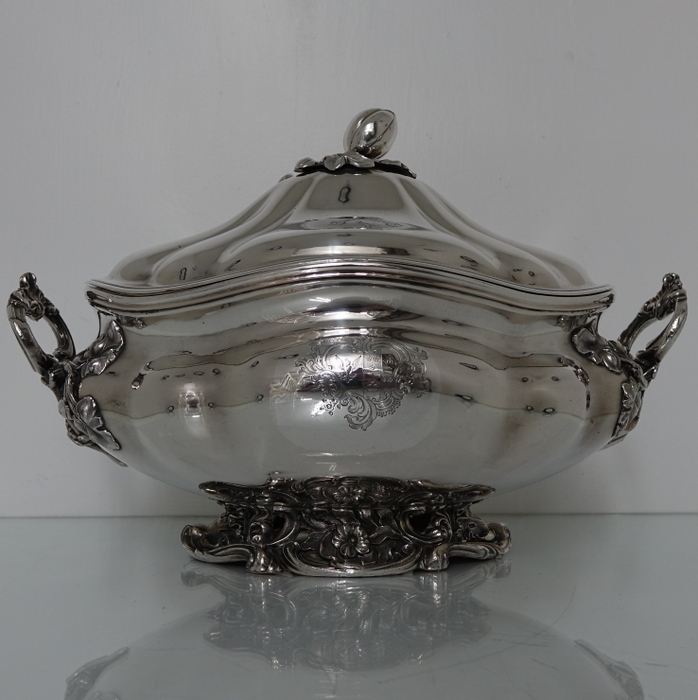 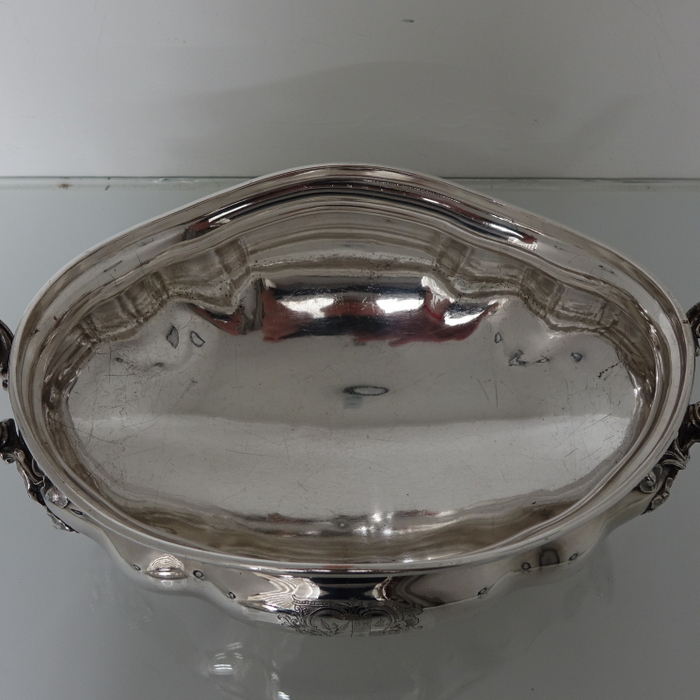 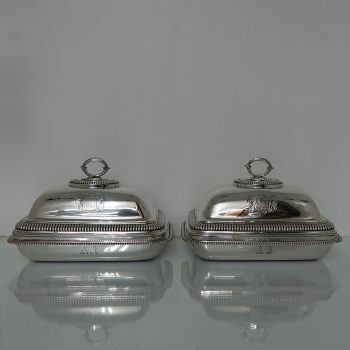 A very fine and extremely rare example of an oval soup tureen with a double silver shield. 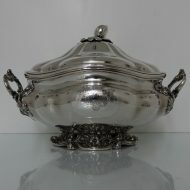 A very fine and extremely rare example of an oval soup tureen with a double silver shield. 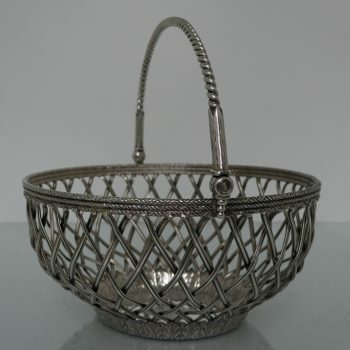 The body of the tureen is stylishly ribbed with two elegant applied applied handles. 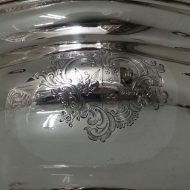 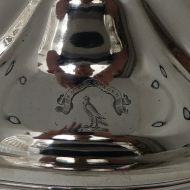 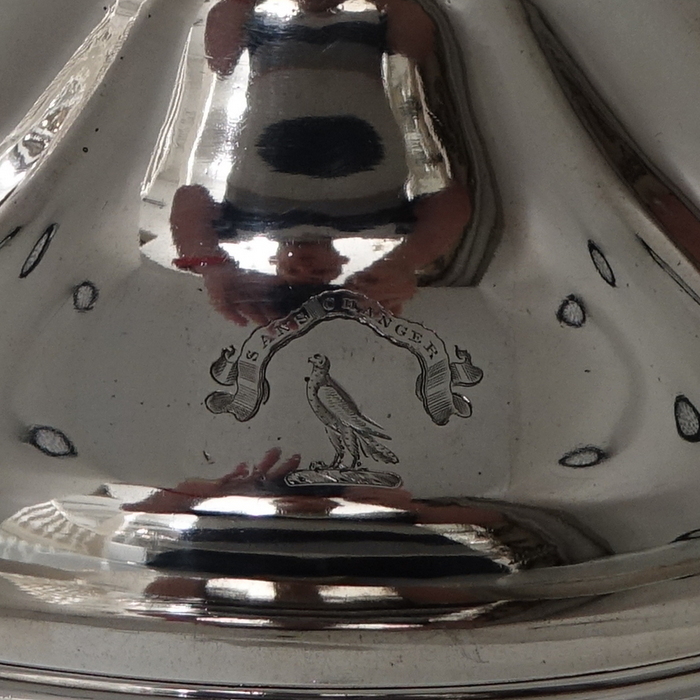 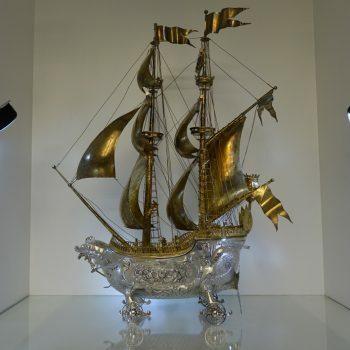 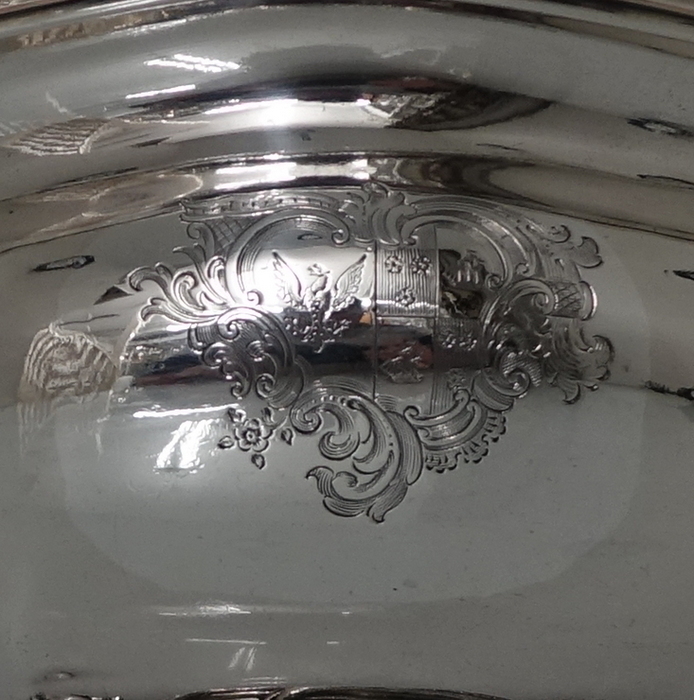 The central front of the soup tureen has a contemporary coat of arms for importance. 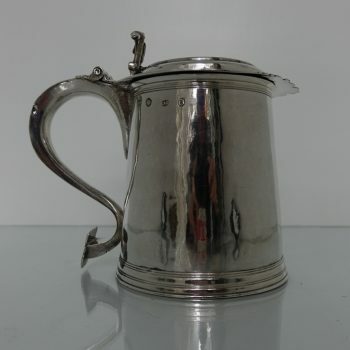 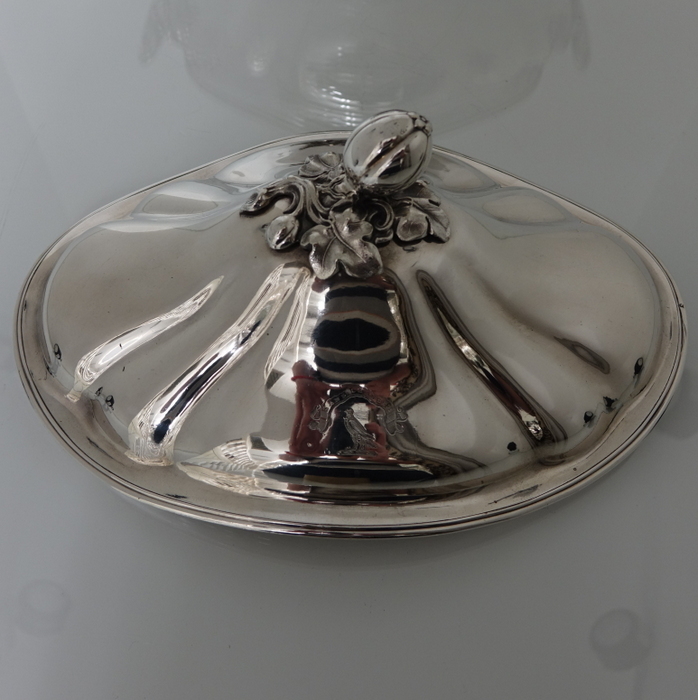 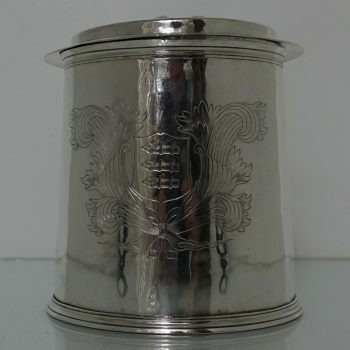 The lid is detachable and has a contemporary crest and is crowned with a beautiful acorn finial. 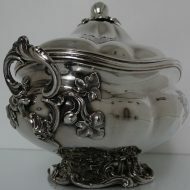 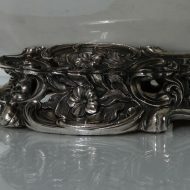 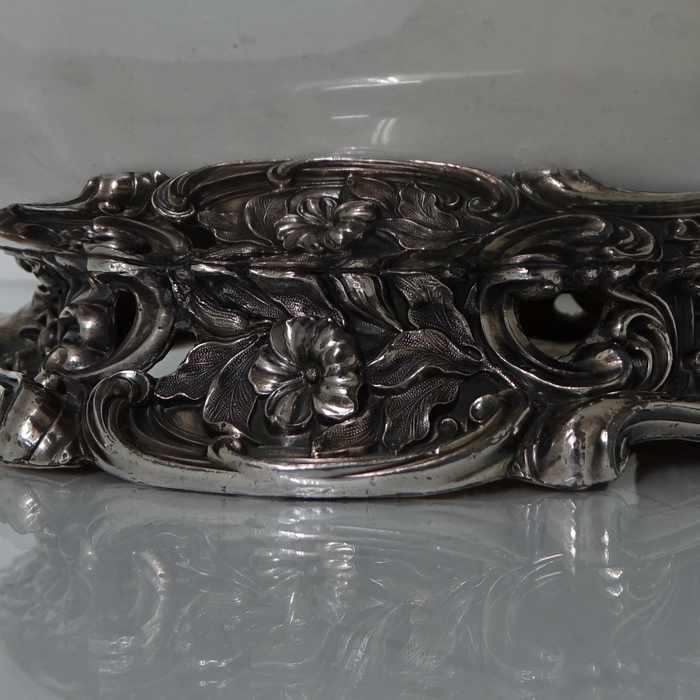 The foot of the tureen is stunningly crafted with a floral and foliage theme.